With the permission and cooperation of Mrs. Arne Naess, we are posting here Arne Naess’s Gandhian writings. We will also be posting critical writings about Naess’s Gandhian theories. See, for example, Alan Drengson’s biographical and critical article already posted. 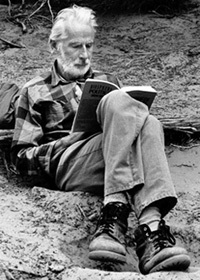 The Norwegian philosopher Arne Naess (1912-2009) is one of the foremost environmental thinkers of the twentieth century, often referred to as “the father of deep ecology”. Less well known is that he was also a major theorist of Gandhian nonviolence, or more specifically of active nonviolent resistance, satyagraha. His two Gandhian volumes were published in small editions as Gandhi and Group Conflict: An Exploration of Satyagraha, Oslo: Universitetsforlaget, 1974, and Gandhi and the Nuclear Age, Totowa (New Jersey): Bedminster Press, 1965. Most of Group Conflict has been reissued as Volume V of the ten volume set, Selected Works of Arne Naess, Dordrecht: Springer Verlag, 2007, but most of Nuclear Age has until now been unavailable. Naess’s primary philosophical work was in the area of linguistic analysis, that is, the application of mathematical set theory to the problem of interpreting language and statements we make to each other. Every statement can have several interpretations, or sets and subsets. How do we evaluate these? He was concerned with words, and with creating a new language for his environmental thinking; he coined the term ecosophy, from the Greek words for environment and wisdom, to describe his belief that every living being, whether plant, animal, or person, has the right to live and blossom, to self-realization. Gandhi had coined the word satyagraha. Naess felt an immediate affinity. Naess was highly critical of environmentalists who did not seek to address the institutional or systemic causes of environmental destruction, or seek to change this. Rachel Carson’s Silent Spring (1962) made a deep impact on him, and soon after reading it he undertook a thorough study of Gandhi’s theory of nonviolent active resistance, seeing in satyagraha a possible strategy for effectively confronting the system. Naess’s insight was that Gandhian nonviolent active resistance could be synthesized with deep ecology. This Gandhian side of Naess’s thinking, while acknowledged, is not well enough known or debated. He was a major interpreter and theoretician of satyagraha, on a par with Joan Bondurant and Krishnalal Shridharani. His reinterpretation of the meaning of Gandhian strategies in the various essays we present here is among the most trenchant discussions of Gandhi’s activist nonviolent philosophy. Posted on 17 April 2013 under Arne Naess Project, Natural World. In a lecture given in 1993, the Indian historian Ramachandra Guha proposed to inquire whether Gandhi could be considered an “early environmentalist”. (1) Gandhi’s voluminous writings are littered with remarks on man’s exploitation of nature, and his views about the excesses of materialism and industrial civilization, of which he was a vociferous critic, can reasonably be inferred from his famous pronouncement that the earth has enough to satisfy everyone’s needs but not everyone’s greed. Still, when ‘nature’ is viewed in the conventional sense, Gandhi was rather remarkably reticent on the relationship of humans to their external environment. His name is associated with innumerable political movements of defiance against British rule as well as social reform campaigns, but it is striking that he never explicitly initiated an environmental movement, nor does the word ‘ecology’ appear in his writings. Again, though commercial forestry had commenced well before Gandhi’s time, and the depletion of Indian forests would persistently provoke peasant resistance, Gandhi himself was never associated with forest satyagrahas, however much peasants and rebels invoked his name. Guha also observes that, “the wilderness had no attraction for Gandhi.” (2) His writings are singularly devoid of any celebration of untamed nature or rejoicing at the chance sighting of a wondrous waterfall or an imposing Himalayan peak; and indeed his autobiography remains utterly silent on his experience of the ocean, over which he took an unusually long number of journeys for an Indian of his time. In Gandhi’s innumerable trips to Indian villages and the countryside — and seldom had any Indian acquired so intimate a familiarity with the smell of the earth and the feel of the soil across a vast land — he almost never had occasion to take note of the trees, vegetation, landscape, or animals. He was by no means indifferent to animals, but he could only comprehend them in a domestic capacity. Students of Gandhi certainly are aware not only of the goat that he kept by his side and of his passionate commitment to cow-protection, but of his profound attachment to what he often described as ‘dumb creation’, indeed to all living forms. Posted on 2 April 2015 under Arne Naess Project, Gandhi, Natural World. It is true that a science that does not respect nature’s needs, and a development that does not respect people’s needs threatens human survival. 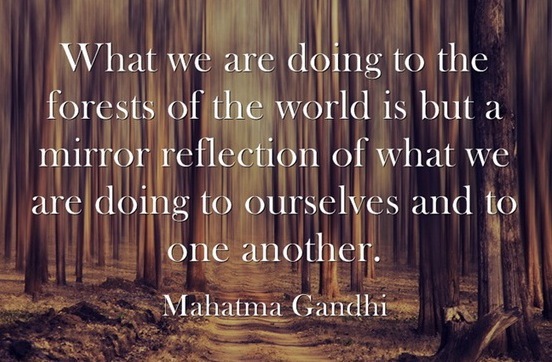 The green thoughts of Gandhi give us a new vision to harmonise nature with the needs of people. Posted on 23 July 2014 under Arne Naess Project, Gandhi, Natural World, Theory. The important philosopher of deep ecology and Gandhian philosophy, Arne Naess, died in January 2009. (1) Not one Australian newspaper or media outlet referred to this event. The news did not even make it into the obituary columns of such global weeklies as Time magazine (although, as usual, many sporting and film personalities did). Naess’s life was a significant one, and his philosophy still is. While environmentalists may know something about Naess’s thought, they tend to know little of its Gandhian antecedents. Those interested in Gandhian philosophy generally tend not to know of Naess’s contribution, but should. In short, Arne Naess should be remembered and his work examined. As a Gandhi scholar, I knew the Gandhi literature reasonably well and was often amazed to see learned articles on Gandhian philosophy that overlooked his book completely. Of course, this is the result of coming from a small out of the way country and having your landmark tome published by the Norwegian University Press. When I called on him, he was polite but seemed a little world-weary until I told him that I wanted to talk about the Mahatma because of his major contribution to Gandhi scholarship. Posted on 30 June 2014 under Arne Naess Project, Gandhi, Natural World, Satyagraha. Satyagraha, as used in interpersonal conflicts, often depends on the degree to which its values have been internalised rather than on a conscious adoption of tactics. Gandhi claimed that “there is no royal road” to achieve this. It will only be possible “through living the creed in your life which must be a living sermon”. This “presupposes great study, tremendous perseverance, and thorough cleansing of one’s self of all impurities”, which in turn requires working through “a wide and varied experience of interior conflict”. These interior conflicts, for example the questioning of one’s own motives and prejudices, the sincere attempt to see if in fact the other’s position is nearer the truth, and if need be admitting one’s errors, are in some measure alternatives to wider conflicts. The critics of nonviolence often attack the pacifist approach or justify not trying nonviolent solutions by posing the hypothetical case in which the satyagrahi is either himself attacked, or is witness to an attack upon another. It is unlikely that such an eventuality will occur in the lifetime of average individuals; most human conflicts take place in quite different circumstances. Lanza del Vasto, therefore, warns against using such “extreme, exceptional, and overpowering” imaginary circumstances for formulating general rules or drawing conclusions from them concerning legitimacy of action. The striving for nonviolence, instead of planning for such possible eventualities, accepts that if they did occur they would be still taken care of somehow (just as if they had been planned for), while during the rest of one’s life, other, almost daily conflicts could be solved in more cooperative ways. Posted on 18 June 2014 under Arne Naess Project, Gandhi, Satyagraha. If the emphasis of Gandhian nonviolence had been on Indian independence, was there then in an India, which in 1947 had gained its political freedom, a place for Gandhi to act as a politician? In fact, his prevailing influence became even greater than it had been before. He exerted a powerful influence on Nehru and the other Congress Party leaders, and his religious influence in Indian culture was immeasurable. One should be careful, however, not to attribute, either to Gandhi or to his influence, actual political decisions and policies such as those, for instance, that led to tensions in Kashmir and conflicts with Pakistan. Gandhi still seemed, in 1945-46, to entertain some hope that India’s politics would be conducted in the spirit of nonviolence. That he was mistaken would not itself be a point of much relevance here, were it not for the widespread misconception that Indian politics is a direct expression of Gandhian ideas. (1) There are very good reasons for rejecting such a notion. Posted on 17 April 2013 under Arne Naess Project, Gandhi, Natural World, Satyagraha. Gandhi did not claim that the methods he used could be adopted as general models for all people and in all sit­uations. He claimed they had no special significance or validity as methods independent of the personality and attitude of those who employed them. By this Gandhi did not mean to imply that everyone who adopts them must share his religion and basic attitude; but he did mean that nonviolent methods can only be used in har­mony with views of life characterized by certain com­mon features. It would be beside the point to conjecture what philosophical views these would be; the best we can do is to study Gandhi’s own position, especially in so far as it directly concerns group conflict. In what fol­lows, therefore, we shall try to sketch a picture of Gan­dhi’s political morality in terms of its principles and of its description of the world and man. However, before proceeding, a possible misunder­standing must be reckoned with. We cannot assume, just because we can now construct a system based on our study of him, that Gandhi himself was systematic. It would be particularly wrong to assume that he arrived at his plans of action by applying a definite set of hypotheses and principles. This assumption would be es­pecially unfortunate if it led us to judge Gandhi’s actions solely in terms of his “system.” For even if we were to reject one or more of the principles or hypotheses of that “system” we would still have to accept the fact that there was considerable value in the courses of action he initiated and himself undertook. Posted on 28 February 2013 under Arne Naess Project, Gandhi, Natural World, Satyagraha. When making optimistic forecasts about the outcome of the struggle for freedom in India, Gandhi used to say that success depended on increasing the constructive programs. But since these always fell short of what Gandhi required, his forecasts were not wrong, but simply ren­dered invulnerable to criticism. If the main effort of the nationalist movement was expended on opposing the British, according to Gandhi, nothing good would come of it. But his advice to concentrate upon constructive planning, rather than upon fighting the British, was not taken seriously by the politicians who were ostensibly his followers. Naturally, such advice had little appeal; it de­manded discipline and self-sacrifice. Many of Gandhi’s actions were, on the face of it, demon­strations of sheer lunacy. For instance, in 1931 he went unguarded into the textile manufacturing areas of England, though told that he would certainly be killed if he did so. The terrible unemployment of that year had hit the textile workers especially hard. Indians were no longer buying textiles to the extent that they had done before. Moreover, the campaign for home industries, which Gandhi had organized in India, had had a power­ful effect, and the British Press was not slow to blame Gandhi for the sufferings of the workers. In fact the newspapers, eager to find a scapegoat for the dreadful privation and suffering of their public, greatly exagger­ated and distorted his role. 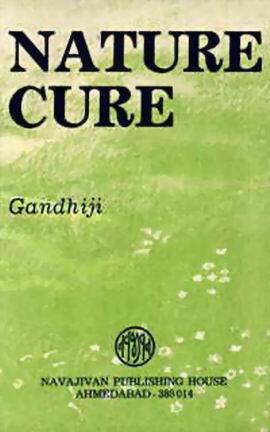 In spite of all warnings, Gandhi went to the workers, defenseless and trusting. And it was not just to show sympathy with the textile industry’s view of the crisis that he went. On seeing the textile workers’ actual living conditions, he pointed out to them how fantastically rich they were, compared with the poor of India, and he fol­lowed up this surprising statement by saying that the economic aims of the textile industry were unrealistic; they had not been formulated, he said, with any under­standing of the European crisis as a whole. One would expect such words to have provoked bitter reaction, but Gandhi’s manner, marked by humor, trust, respect, and compassion, made it extremely difficult to oppose him. The workers gave him time to present his views, and they managed ultimately to divert their hatred from indi­vidual persons. They ceased to be his enemies and be­came his potential fellow-workers.